Product prices and availability are accurate as of 2019-04-18 14:16:23 CDT and are subject to change. Any price and availability information displayed on http://www.amazon.com/ at the time of purchase will apply to the purchase of this product. Less is often more. 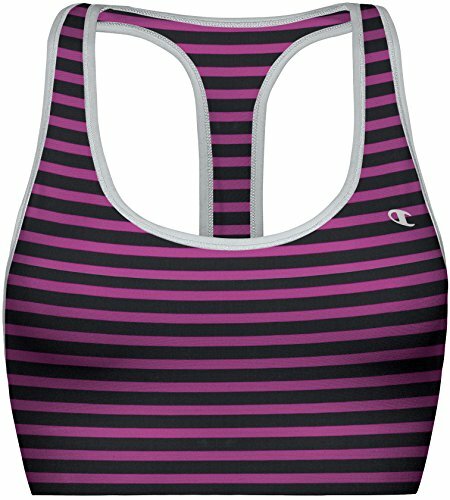 Less seaming, equals less chaffing & more comfort for the Champion Outright SmoothTec Racerback Sports Bra. This striped sports bra features patent-pending SmoothTec band for chafe resistance, stretch for ease of motion & wetness wicking. Polyester/Spandex.